Tucked away, high in the northeastern mountains of Pakistan, live the Hunza people. They are also known as the Burusha. These people lived for hundreds of years in complete isolation until a highway was built that brings many tourists to see the beauty of the Himalayan mountains contrasted with the lush, terraced gardens of the Hunza farmers. 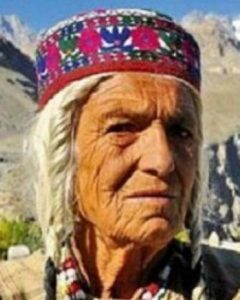 The Hunza people are renown not only for their beautiful valley but also for their long life span. The average lifespan in Pakistan is sixty-seven years, but in Hunza it is not uncommon to live well over one hundred years! Some people speculate that this amazing life span is influenced by their healthy and active lifestyle as well as the annual two-to-four month juice fast. During these months, they eat nothing and drink only the juice from dried apricots. The people of Hunza claim to be descendants of three soldiers in Alexander the Great’s army who were left behind because of sickness. They say that each of these soldiers founded a village and all Hunza people are descendants of one of these three villages. Most Hunzas follow Islam and know nothing of God or the Bible. What use is long life if they do not know of eternal life? Many tourists go to see the beauty of the Hunza valley, but who will take them God’s Word? They smile, but they do not know true joy. They live without hope, knowing nothing of God’s love. Who will go? Someone must reach them before it is too late.